A Time Yarns Universe Book. Punch is a 7 book series in the Time Yarns shared world transmedia universe. Ex-Marine Carla Punch travels to alien space to get over her fear of aliens and succeeds beyond her wildest nightmares. Her life becomes intertwined with the life of the Galactic Emperor, August Xywanda, through their mutual alien friend, Firuun. Carla has more than the usual sort of war trauma to overcome, because Carla is a loribond victim: one of a group of human POWs subjected to alien psychiatric drugs. Loribonding is now banned as a war crime, but Xywanda voluntarily undergoes the loribonding process in secret in a Byzantine plot to save the galaxy from civil war. Self-sacrificing to a fault, Xywanda never misses an opportunity to play the hero, but it’s Carla and Firuun who will have to save the Emperor from his Empire. There is a lot of imaginative writing in this book. This is a good sci-fi fun read, with original world building and interesting elements. The plot is built quite nicely, it eases you into the intricate maze of the action. The pace of events is nice, and the characters are funny, and interesting. I mean, entertainment-wise, I’d say this is cool. I may be doing something improper by saying so, but reading it made me think of the series Farscape, for some reason. You know, with all the cool creatures, and the funny lines, and the nice characters? It made me want to re-watch Farscape, actually, and yes, I do that. It’s not special effects glamorous, and it’s quite old I guess (for my age :p), but goddamnit I love watching it. Mainly because it’s fun, and because I’ve had a crush with a capital C on Scorpius ever since I saw the Crais and Scorpius scene. *shivers* I still have a crush on Scorpius. I know, I’m a very strange girl, I have been told so before. Buuut, anyways. So The Loribond was cool because of the reasons I’ve mentioned before. How could it have been a better reading experience for me? Well, for one thing, it could have had a reptilian villain for me to crush on. But that’s something I rarely find, so, you know…what happened here was that I didn’t really connect with the characters, practically not at all. They were fun, and diverse, but I just didn’t “feel” them, you know? And because I’m such a character-oriented reader, that is often a make or break sort of part of the deal. 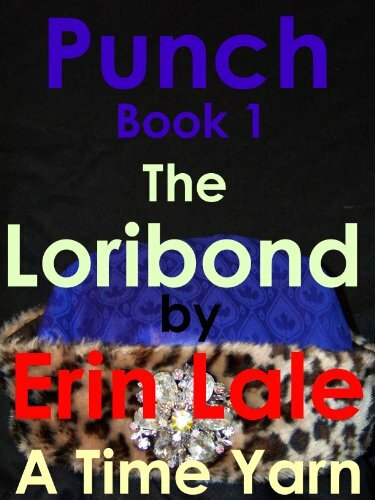 But I still liked reading the book, because of Erin Lale ‘s creativity and fun writing. I would also suggest a make-over for the cover, really. I feel the current one isn’t doing the book justice, and as we all know, the book world does revolve around appearance, just like any other human-related world. Overall, it was an interesting read, but it didn’t get me too excited or into the characters. But then again, I’m not necessarily a sci-fi fan, I just enjoy a good sci-fi book because of non-sci-fi reasons, to be totally honest. So there you have it. Give it a try, though, if you’re into sci-fi; it’s got solid world building, fun characters, action, intrigue…it’s a cool read.